After many years of bombing around in Dory's it was time to take the plunge an invest in a larger boat, after some time researching and many miles later we found our first charter boat a beautiful STARFISH 10, this was a brand new vessel built by Paul Cheshire from Exmouth who had already named the boat VALKYRIE. 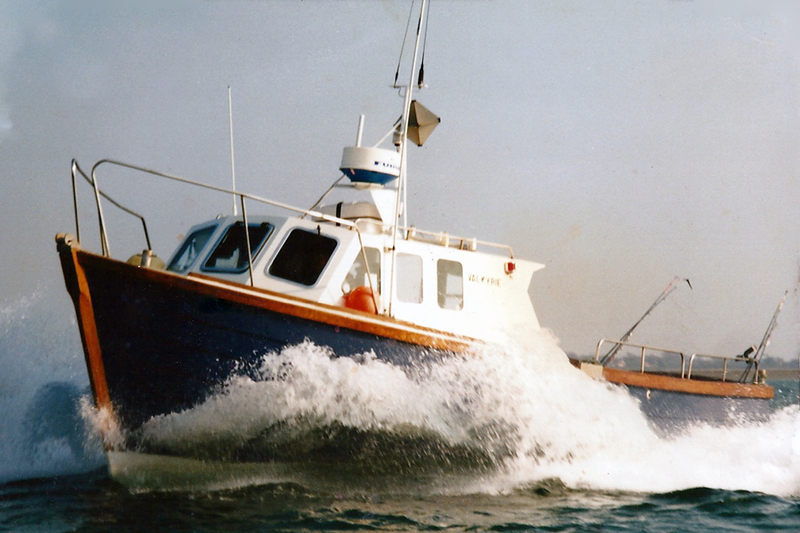 By this time I had already competed my Yaught Masters Quilifications and was ready and rearing to go, so in April 1994 VALKYRIE 1 started work in Langstone Harbour. 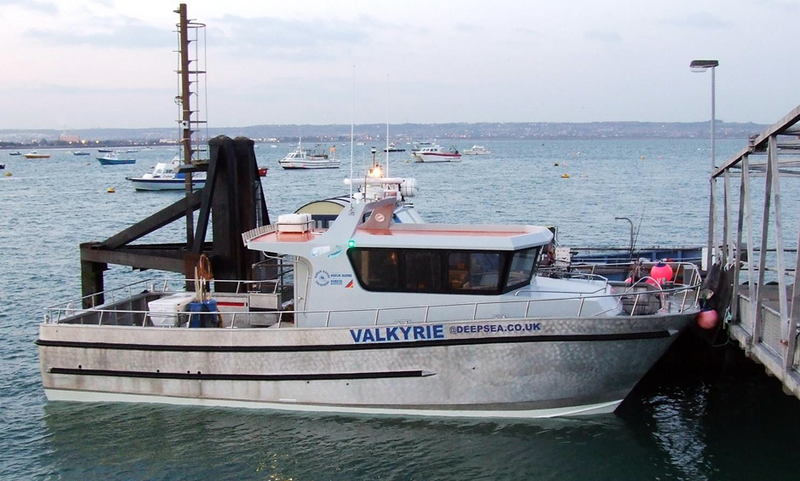 With groups getting ever larger and also finding myself taking on more and more offshore wrecking, after 4 years it was time to move on, this was at that time a massive jump to a much larger boat, so VALKYRIE 1 went to Holland and VALKYRIE 2 was already in Langstone Harbour ready to work. VALKYRIE 2 a 38ft Cygnus Revenge, what a boat - massive deck area and rap around dash board, it was just like sitting in an aircraft cockpit. Powered by a Detroit supercharged deisel engine, we had a cruising speed of 16 / 17 knots. 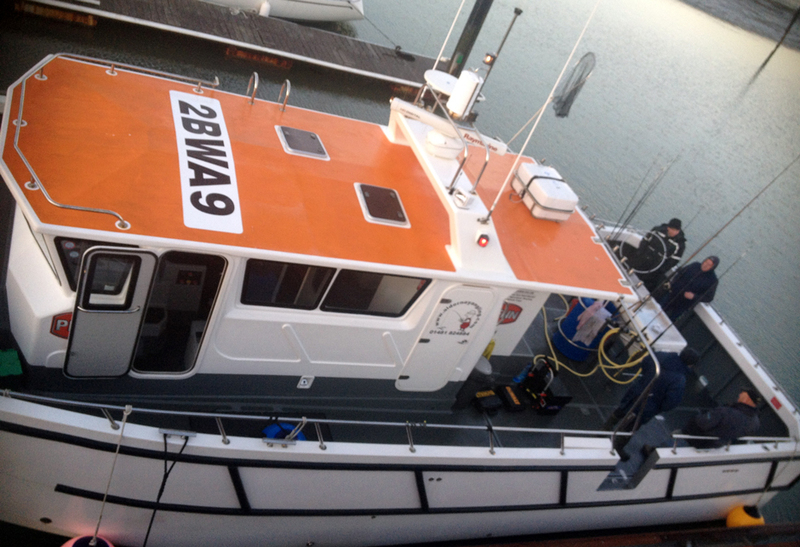 This boat would do nicely, taking us even further offshore and to the Channel Islands for the first time. In 2003 a well known Skipper Collin Johnson was embarking on a project , building an Aluminium catamaran , Well I was still looking forward and Collin was someone I had always listened to when he was offering advice, so we decided to jump right in and take a gamble buying our next boat from a set of plans. VALKYRIE 3 was to be a 12mtr aluminium catamaran, I commissioned Pepe boat yard now abc marine to do all the 'ali' work whilst I fitted the engines and completed the build ready to be put into service October 2004 , what a machine VALKYRIE 3 was, taking the channel crossings in her stride. Now when I started chartering in 1994 fuel was at 9p per ltr and the fuel wasn't a consideration when purchasing a vessel. 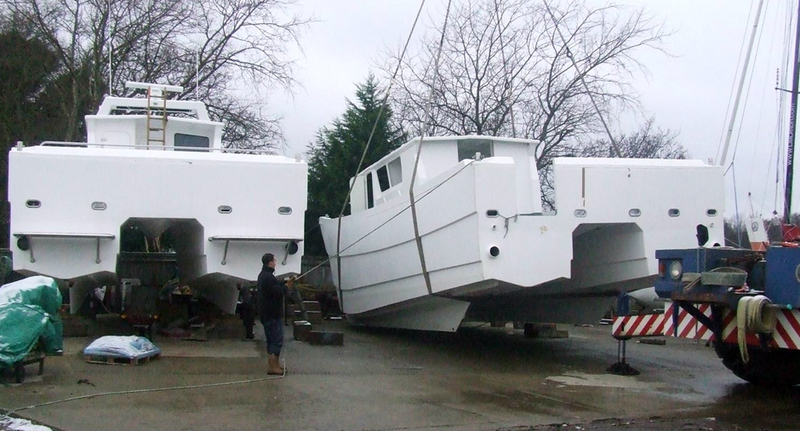 Times were changing and to stay ahead of the game it was time to invest again,this time we would buy 2 vessels to be built my ourselves from Catapult catamarans. 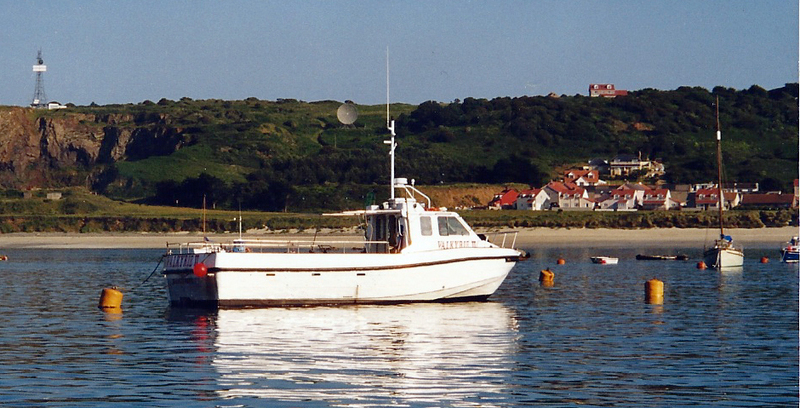 Finding myself forever wanting to improve each vessel for the anglers, in my spare time and over the winter of 2008 we built another new Catapult 396 which was to become VALKYRIE 5, VALKYRIE 4 was sold to a fisherman in Stellindan and VALKYRIE 5 was put into commission in 2009. 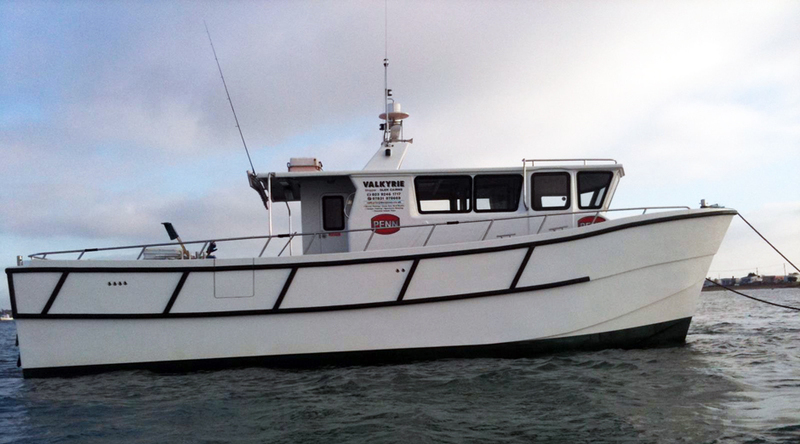 Two years later it was time to look a gain at building a new boat and VALKYRIE 5 was sold to a survey company. I purchased an 11mtr Southcat from a good friend of mine Barry Meech, probably one of the best boat builders I know for attention to detail. This South Cat was custom built for the wind farm industry, thus being complimented with 14 sprung suspension seats, plus as you would expect the very best electronics package. This would become VALKYRIE 6. 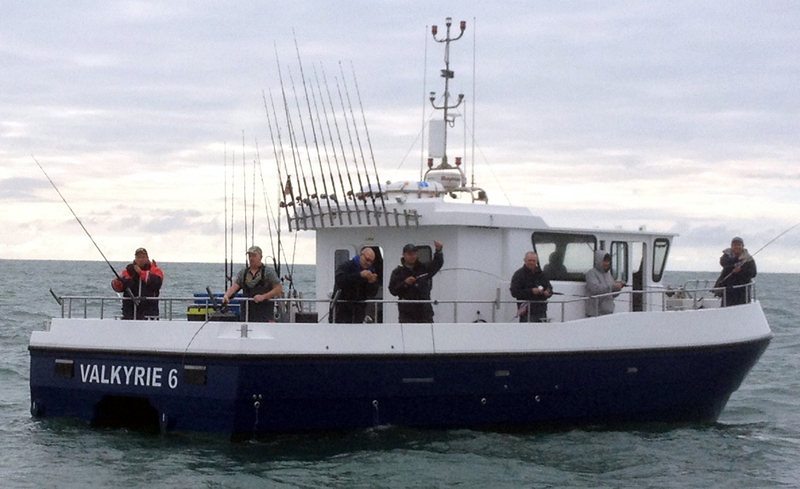 At the time of purchasing VALKYRIE 6 I was invited to go out on sea trials on a boat that had just been built for Sam Cummings by BWSEACAT in Porchester,(just down the road from me) so of i went for the day with not really with any intention of buying one, but it would be a nice day out. 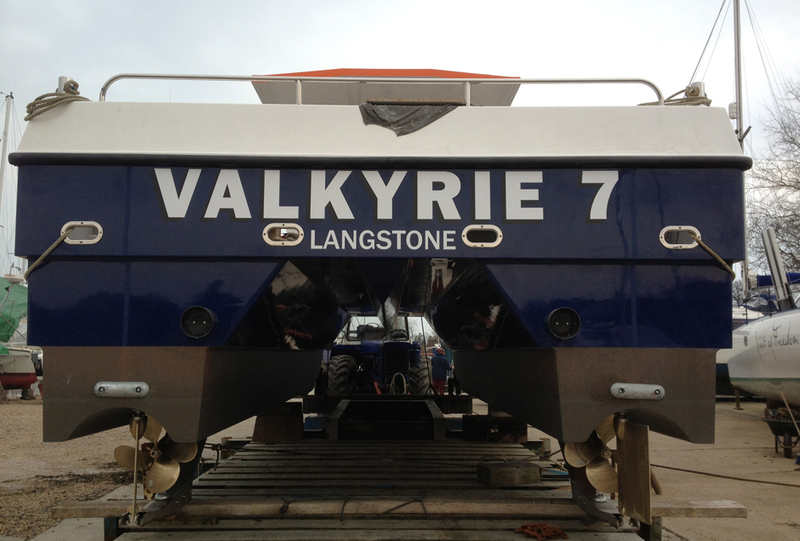 Well what a surprise, this new design was so smooth and has very good seakeeping, so VALKYRIE 7 was on the drawing board, we built her over the winter of 2012 installing all the very best and the very latest technology we could lay our hands on.